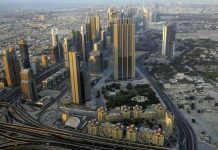 The Roads and Transport Authority (RTA) is all set for the launch the sixth edition of Public Transport Day initiative next Sunday, on the first of November, coinciding with RTA’s 10th anniversary. 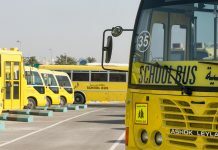 “The initiative has succeeded in realizing its objectives of showcasing the role of Dubai in supporting efforts made to improve the environment, achieve sustainable development, encourage people to use public transport means, and raise public transport ridership levels by educating users about the benefits of public transport. “The sixth round of Public Transport Day initiative features a wide participation of public entities, academic institutions and private organizations. 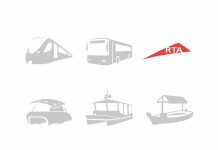 The RTA has got a diverse cast of distinctive events to celebrate the occasion including the participation of teams from the RTA and other government departments in a contest aimed at diffusing the public transport culture by selecting a specific route encompassing all public transit modes. 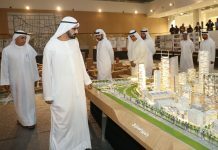 The event will also run multi-discipline outdoor sports competitions at Burj Plaza, a Fair of healthy diets, besides the honoring of the most frequent users of public transport means. 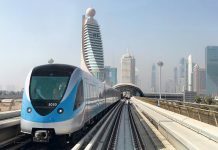 “The integrated array of mass transit means in Dubai, which covers the metro, tram, public buses and water transport means, has become a key component of people’s mobility in various parts of the Emirate. The share of public transport in the people movement has soared from 6% in 2006 to as much as 14% in 2014, and the RTA is seeking to push up this share to 20% by 2020. 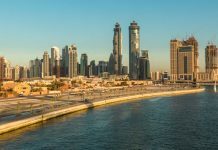 “The public transport means comprising the metro, tram, public buses and water transport means (Abras, Ferry, Water Bus and Water Taxi) in addition to taxicabs (Dubai Taxi and franchise companies) have lifted in 2014 more than 531 million riders. The figure compares well with the public transport ridership of 440.672 million riders recorded in 2013, and 367.657 million riders recorded in 2012. 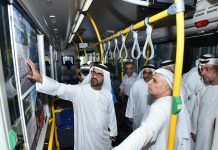 The average daily ridership of public transport means in Dubai clocked last year 1.475 million riders compared with 1.3 million riders served in 2013 and about one million riders lifted in 2012,” explained Al Tayer. 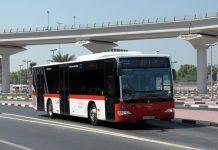 “The RTA is continuing with its efforts to make the public transport means the ideal choice of inhabitants, including citizens, residents and visitors in their daily mobility, be it for work or fun. The future plan envisages further improvements of the infrastructure and the efficiency of mass transit systems, in addition to the offering of broader smart services to the public. Among the key mass transit projects to be undertaken over the next five years is Route 2020, and procuring additional trains to cope with the anticipated growth of metro riders up to 2020 and help improve passenger services.